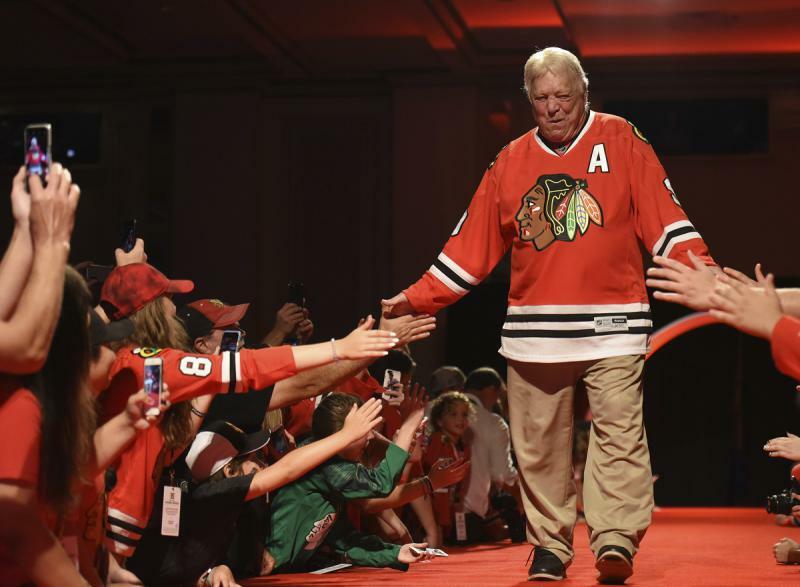 Former Chicago Blackhawks player Bobby Hull is introduced to fans during the NHL hockey team's convention Friday, July 21, 2017, in Chicago. The Bloomington-Normal YMCA is turning to hockey legend Bobby Hull to help its public appeal for a new facility. Hull will be the keynote speaker at the Y's Legacy Dinner next week. The YMCA is in the midst of a fundraising campaign for a new east-side home with Easter Seals in what's projected to be a $16 million project. In this March 25, 1962, file photo Bobby Hull of the Chicago Blackhawks holds a puck which he drove into the New York Rangers' net to score his 50th goal of the season at New York's Madison Square Garden. The Gordie Howe hat trick to this day means a goal, an assist, and a fight in the same game. “Let’s hope that we can all get behind this fundraiser so that Bloomington can build a YMCA that’s second to none,” Hull said. 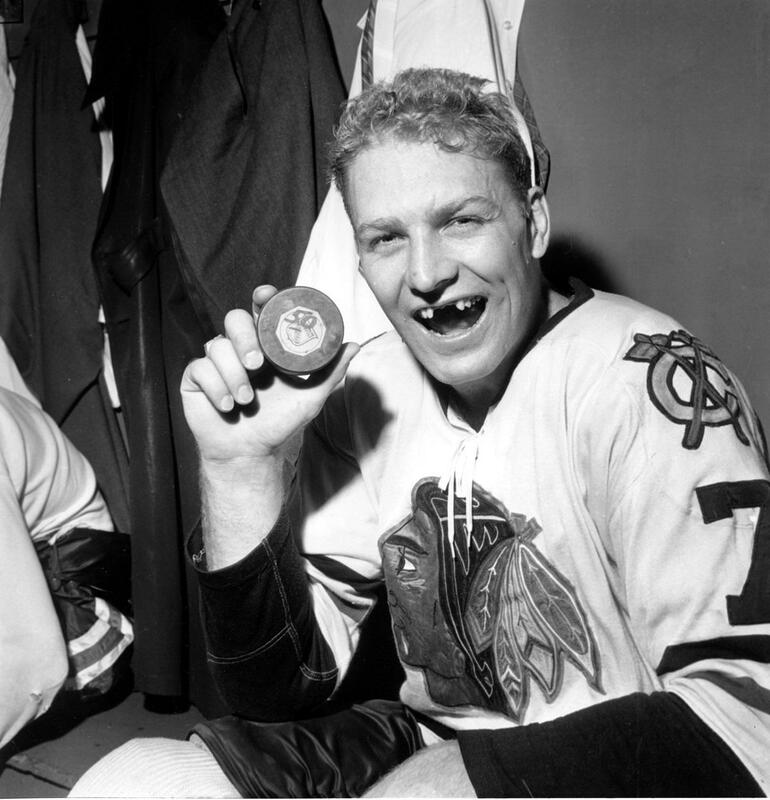 Hull, 79, played 23 seasons during his Hall of Fame career, a majority of his time with the Chicago Blackhawks, where he helped lead the Hawks to the Stanley Cup title in 1961. He remains an ambassador for the franchise. His son Brett Hull is also considered one of hockey’s all-time greats. The elder Hull recalls spending lots of time at a YMCA in Ontario, Canada, where he grew up. “I’d be stuck for a while until I could get a ride home and always would visit the Y and spend some time swimming and exercising,” Hull said. In a wide-ranging interview on GLT's Sound Ideas, Hull said he’d like to see the NHL and its players do more to help retired players with their health care costs. “Some of these people making $8 and $10 million a year maybe should think about providing them with some funds so that they are not only existing but they have a decent form of life after the game,” Hull said. Hull also suggested the Blackhawks, winners of three Stanley Cup titles between 2010 and 2015, are likely no longer serious title contenders with an aging core of stars, led by Jonathon Toews, 30, and Patrick Kane, who is 29. The dinner will be on Thursday, Oct. 11, at the DoubleTree Hotel and Conference Center in Bloomington. Ticket information is available by calling (309) 827-6233 or emailing sandyz@bnymca.org. The Bloomington-Normal YMCA and Easterseals on Tuesday announced an anonymous $4 million gift they hope will spur enough other donations to break ground on their new shared facility. 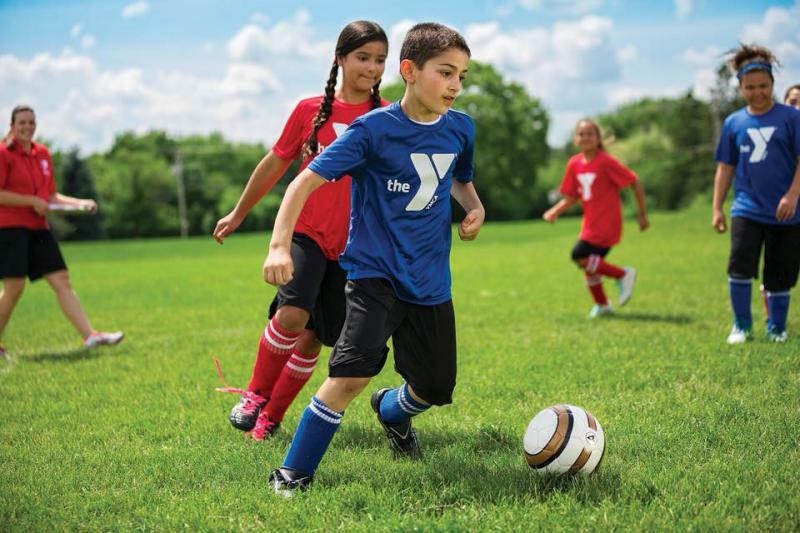 The Bloomington-Normal YMCA will kick off its annual campaign to help local children and families next month. 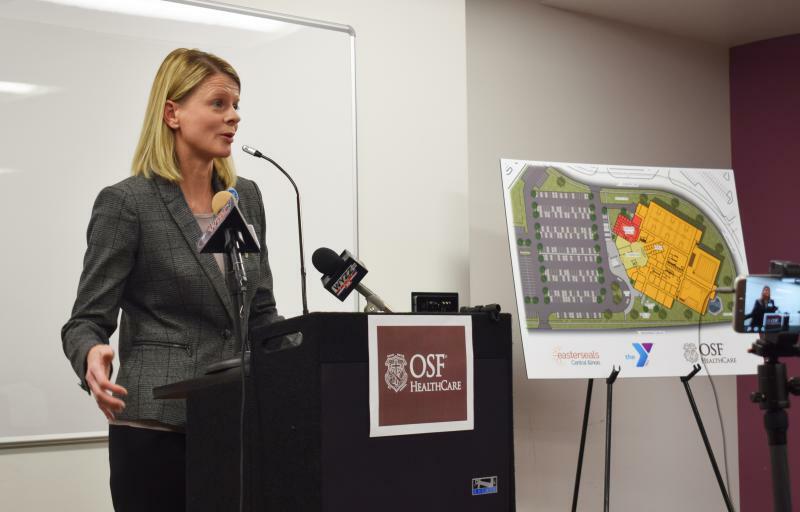 The Bloomington-Normal YMCA plans to move to the city’s east side as part of a joint project announced Tuesday with OSF Healthcare and Easterseals Central Illinois.